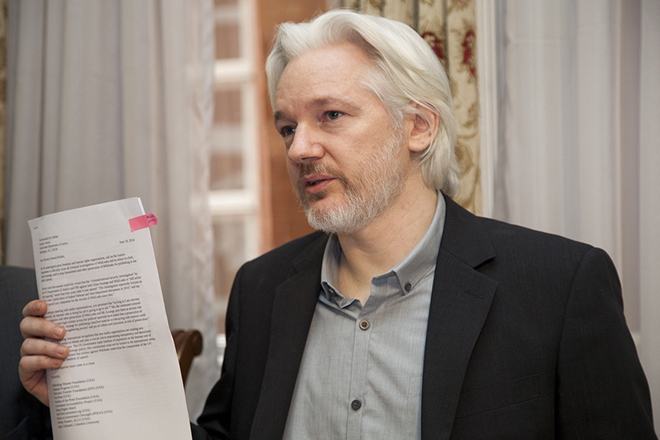 Feb 05, 2016 (LBO) – The United Nations Working Group on Arbitrary Detention said today that WikiLeaks founder Julian Assange has been arbitrarily detained by Sweden and the United Kingdom since his arrest in London on 7 December 2010, as a result of the legal action against him by both Governments. In a public statement, the expert panel called on the Swedish and British authorities to end his deprivation of liberty, respect his physical integrity and freedom of movement, and afford him the right to compensation. Assange, detained first in prison then under house arrest, took refuge in Ecuador’s London embassy in 2012 after losing his appeal to the UK’s Supreme Court against extradition to Sweden, where a judicial investigation was initiated against him in connection with allegations of sexual misconduct though he was not formally charged. In its official Opinion, the Working Group considered that Assange had been subjected to different forms of deprivation of liberty: initial detention in Wandsworth Prison in London, followed by house arrest and then confinement at the Ecuadorean Embassy. The experts also found that the detention was arbitrary because Assange was held in isolation at Wandsworth Prison, and because a lack of diligence by the Swedish Prosecutor’s Office in its investigations resulted in his lengthy loss of liberty.